Anyone who still doubts that President Trump is serious about building a wall between the United States and Mexico should take a closer look at the budget proposal the administration released this morning. Eminent domain—the government appropriation of private property (against the will of private property owners) for a greater public good—is something Trump has long supported. It’s an approach he leveraged in the construction business to thwart uncooperative people who stood in the way of his building projects and he defended its use during the Republican debates. While property owners are compensated for their loss, the practice is highly contentious and at odds with the views of many conservatives and libertarians. A piece last year in the conservative National Review, “Memo to The Donald: There are ways to acquire property without using government force,” illustrates the point. 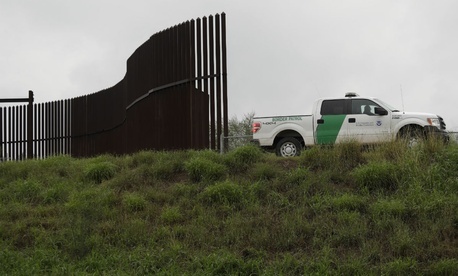 The fact that the Justice Department intends to bring on 20 attorneys expressly for the purpose of securing land along the border suggests that the administration knows it’s in for a legal battle, and that the Trump team is marshalling its forces. For those with land adjacent to the Mexican border and who don’t want to see a wall on their property, they ultimately may not have a say. At the very least, they’d better lawyer up.